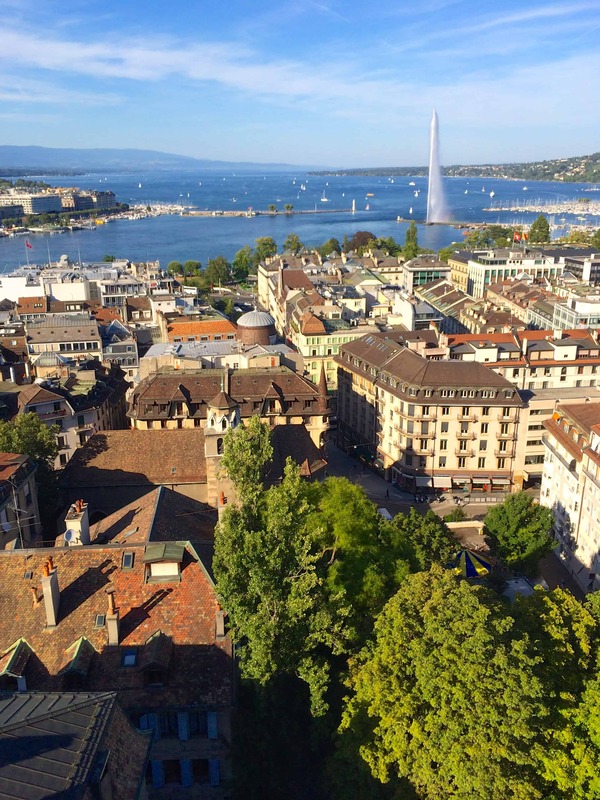 If you are considering whether to visit the stunning city of Geneva, Switzerland, don’t be surprised if you are booking hotel accommodations by the time you finish reading this article. 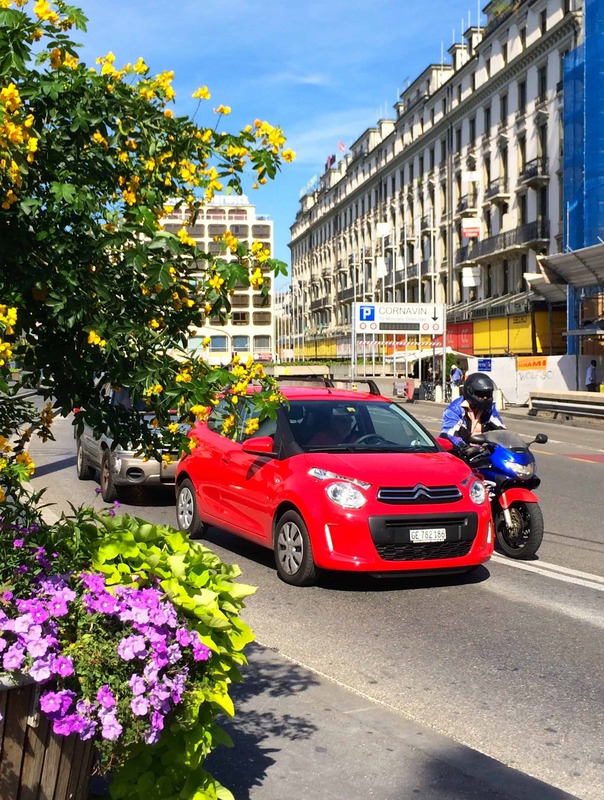 After leaving a cold and rainy Brussels, I was stunned to be greeted by a sunny, and surprisingly hot Geneva. It was difficult to believe there could be such an extreme difference in the weather after only an hour’s flight. The black turtleneck sweater I was wearing looked totally out of place on such a scorcher of a day. 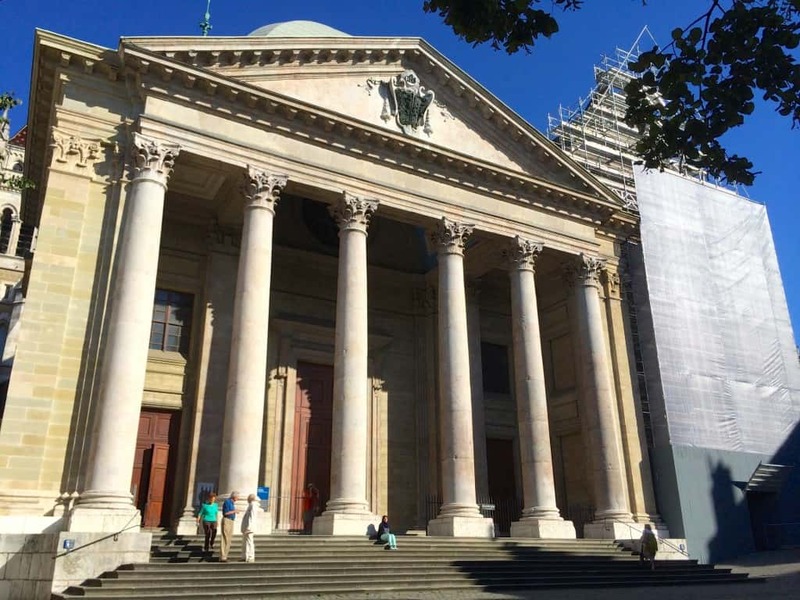 Disclosure: I was graciously hosted by the Geneva Tourism and Conventions Foundation during my stay. All opinions are my own. At the airport, I had picked up a ticket from a kiosk in the baggage claim area which offers 80 minutes of public transportation to all travelers. 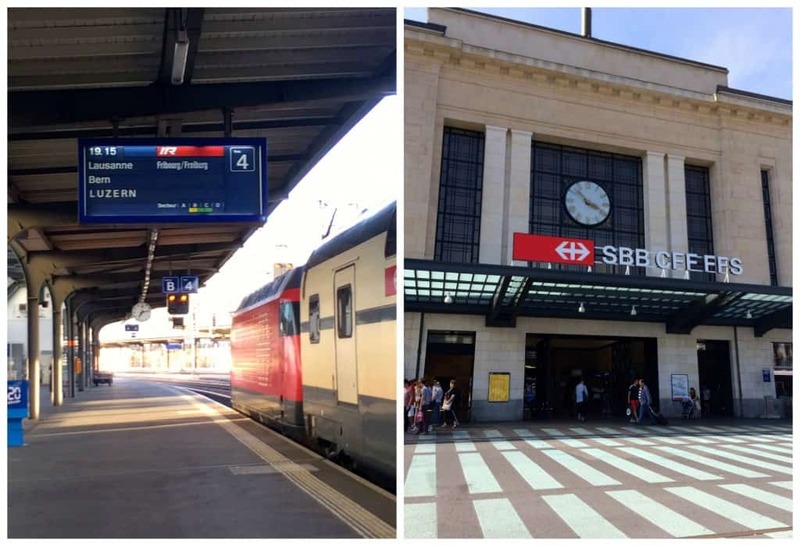 After a seven minute train ride, I was at the train station in Geneva. Yes, you read that correctly, seven minutes and the ticket was gratis. 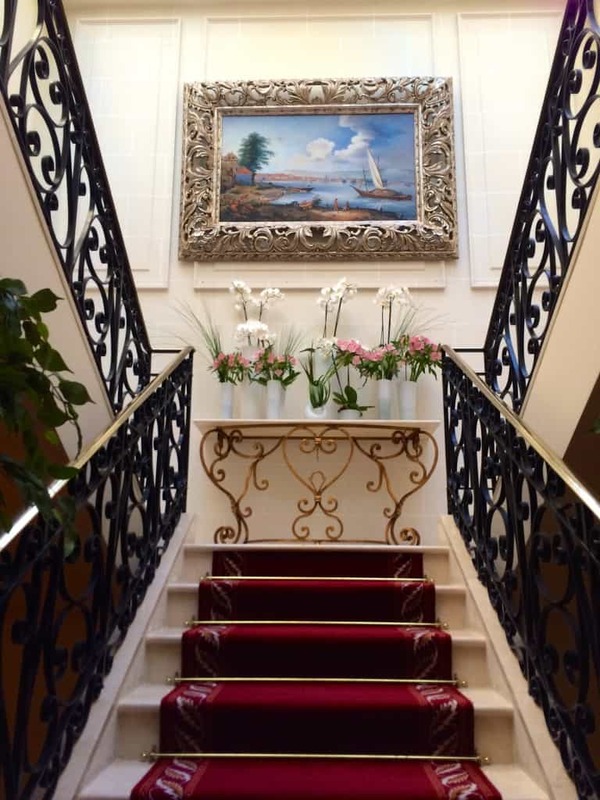 Due to the combination of my turtleneck and the heat, the brief four minute walk to the lovely Hotel Royal, one of the six Manotel hotels in Geneva, was greatly appreciated. 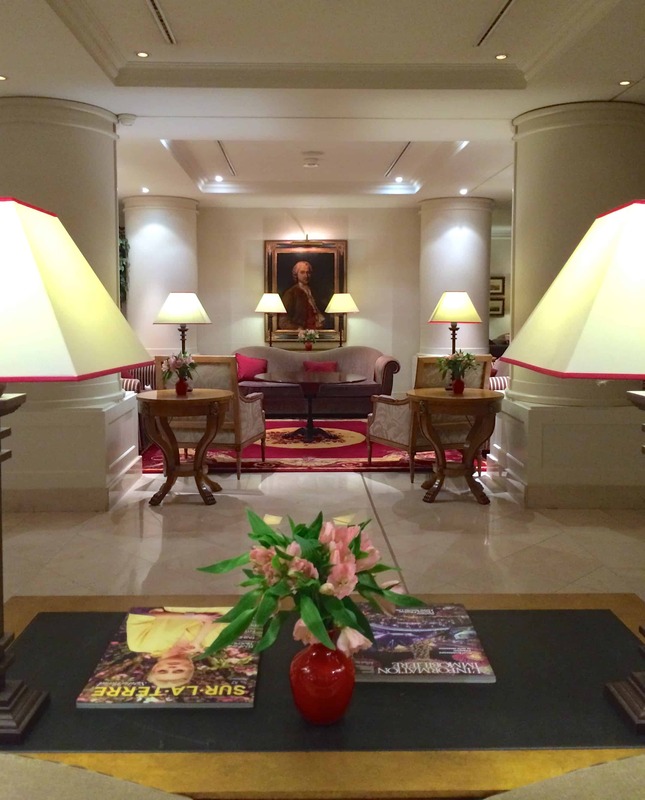 The simplicity, peaceful atmosphere and decor of the lobby, stairs and sitting areas of Hotel Royal were most welcoming. Over the next few days, I took advantage of the cosy downstairs areas. Before going up to my room, I’d relax for a few minutes after playing tourist all day, as the spots were so inviting. Aren’t those chairs just beckoning to be sat upon? The cards are not only for trams, buses and trains, but they are also valid on the water taxis. The mouettes, as the water taxis are called, zoom guests across Lake Geneva in a matter of minutes. What a wonderful way to make tourists feel that they are truly welcome! Hostel and campsite guests receive the Geneva transport cards, too. My hotel room was small, but very comfortable. You can discover the six styles of rooms that the Hotel Royal has to offer here. You’ll find that there is something for everyone. My first morning in Geneva was just as glorious as when I had arrived. I really enjoyed the buffet breakfast at the hotel. 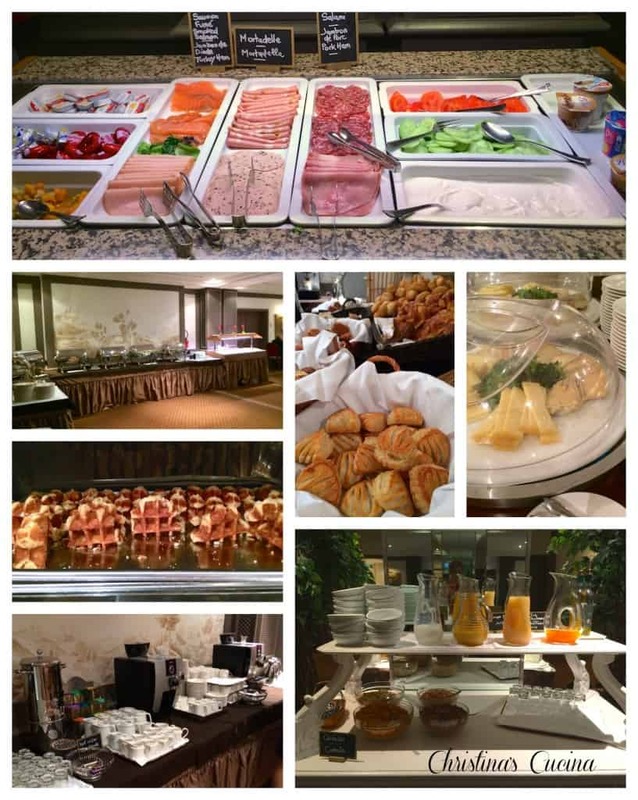 Although they did offer many menu items that you would find at an American buffet breakfast, there was so much more! 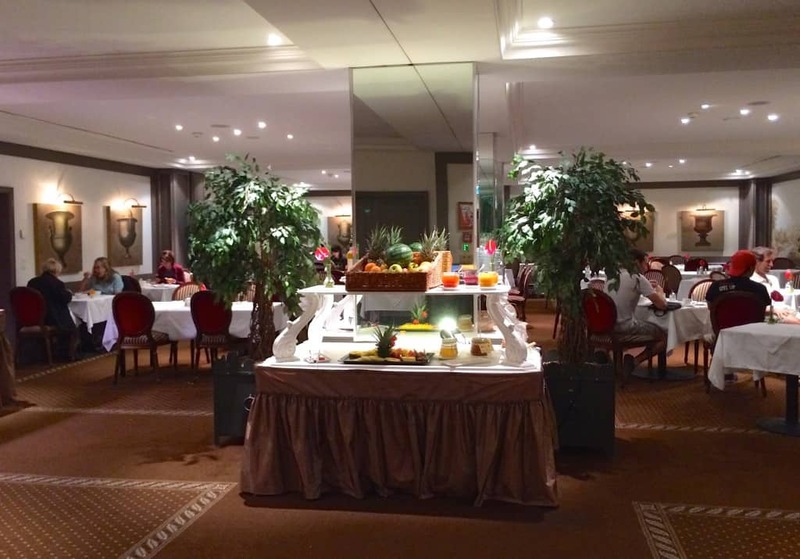 Breakfast was served in a room just as tastefully decorated and welcoming as the lobby areas. The bread and pastry choices were numerous, but this made it difficult for me to choose as I would have liked to try all of them. After breakfast the first morning, I was off for my lesson with award winning Chef Armel Bedouet, who had kindly agreed to teach me one of his signature dishes! The lesson was going to take place in the kitchen of Le Duo restaurant, located right inside the Hotel Royal. I was a little nervous, since I’d only ever taken one other cooking lesson earlier in the year: Jamaican Jerk Chicken with Chef Dwight Morris. However, Chef Bedouet was an absolute delight! I learned all about the local ingredients he used, right down to the fish (a whitefish called fera) from Lake Geneva from a fisherman he knows. The carrots were locally grown, and so sweet and fresh. Chef Bedouet could tell me so much about each ingredient and where it was sourced that I knew without question, that the end result would be marvelous! After Chef had filleted the fish, I was instructed on how to remove the bones. They were practically invisible, so it was all done by feeling the bones, then pulling them with tweezers. It was actually quite fun, but I realized it wasn’t as easy as I thought when I didn’t get one of the bones out completely! Oops. Chef Bedouet had already prepped some of the dishes. He explained in detail how each of them were made. I then tasted them, and to use one of Chef’s seemingly favorite words, they were all sublime! There was a pungent lemon sauce which was phenomenal; a saffron infused sauce made with fish stock and a beautiful carrot puree. Within my recipe posts, I always stress the importance of quality ingredients, however, the flavors in the sauces and puree were just incredible. All of our food should taste this good. I truly believe our standards in the US are so much lower than Europe’s standards. 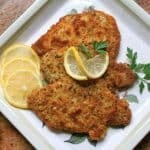 Americans not only accept food that is often substandard, but even very poor quality; however, I digress–back to the cooking lesson. Chef Bedouet then taught me how to prepare the delicate carrots and make decorative carrot curls with the larger ones, which I also really enjoyed. I don’t make many highly involved, beautifully plated dishes, so this was wonderful opportunity for me to learn something completely new. I scraped and prepared the perfect little carrot. Then Chef made slices from the larger carrots on the mandoline slicer. We cut the edges to make them symmetrical and then they were simmered them for a minute or two, just until they became pliable. 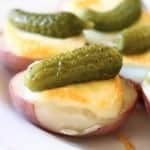 Then we rolled them–beautiful! 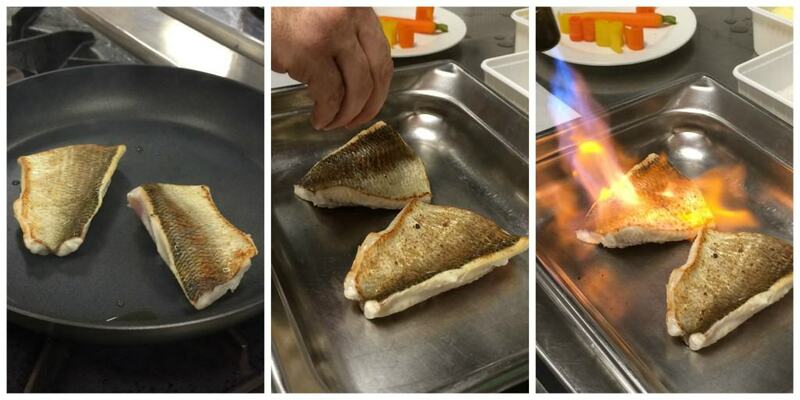 All that was left to do was to cook the fish. Chef Bedouet explained that if the fish is too fresh, it will retract and curl up, and in fact, the fish was quite fresh, so he put a plate on it to weigh it down a little. Apparently, this whitefish is rather difficult to cook properly without under or overcooking it, but it was a piece of cake for Chef Bedouet. 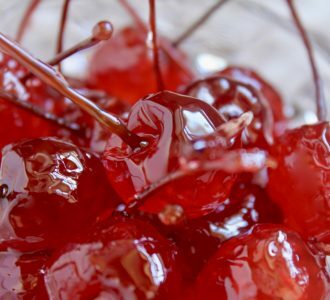 Once it was ready, he sprinkled a tiny bit of demerara sugar and caramelized it quickly with a torch. 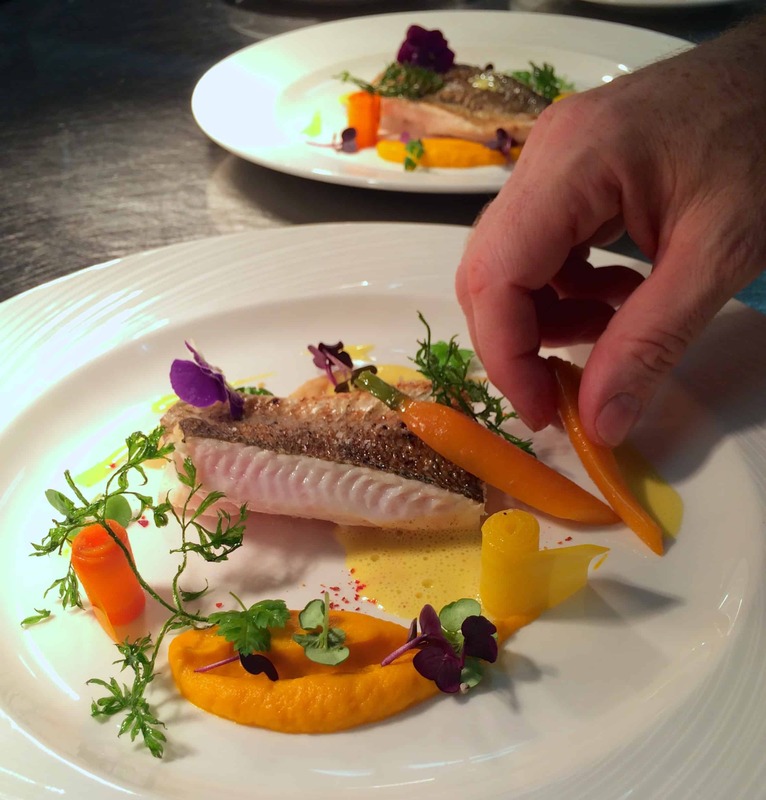 Next, Chef Bedouet showed me how to plate the fish in the most stunning way using the sauces, puree, carrots and fresh edible flowers. The completed dish was simply marvelous, not only visually, but the flavors were just as magnificent. Thank you Chef, for taking the time to teach me how to create such a phenomenal dish! 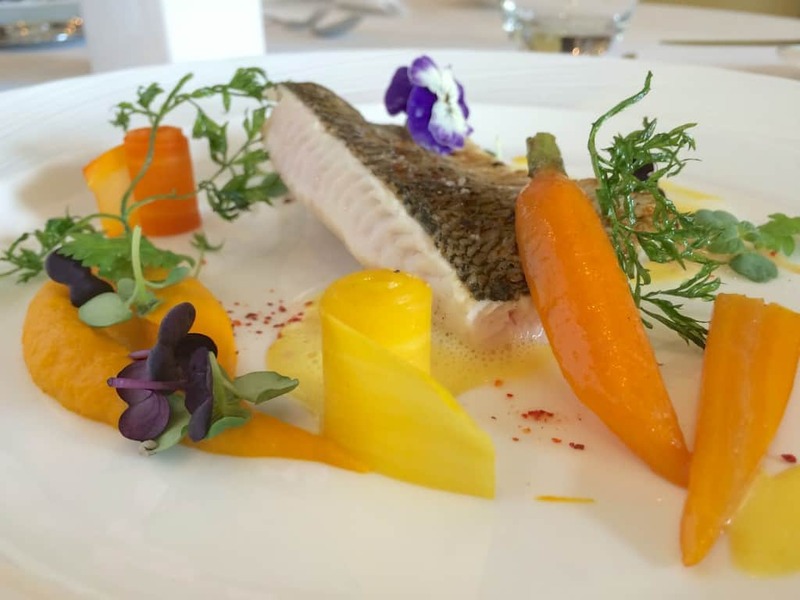 After tasting the fantastic fish we’d just cooked, I was fortunate to be able to enjoy lunch at Le Duo and sample more of Chef Bedouet’s exquisite creations. As you can see, each dish was more outstanding than the next. 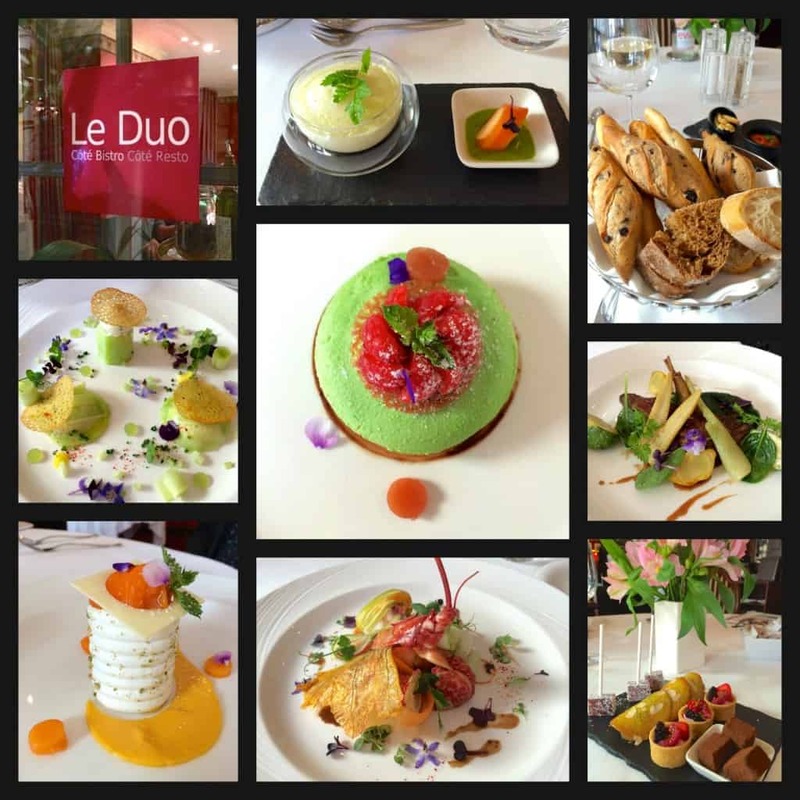 Here is a sampling of the dishes at Le Duo. I didn’t eat all of them, but enjoyed the cucumber and cheese dish along with a crisp and lovely Swiss white wine. I chose a light and creamy rhubarb sweet for my dessert. 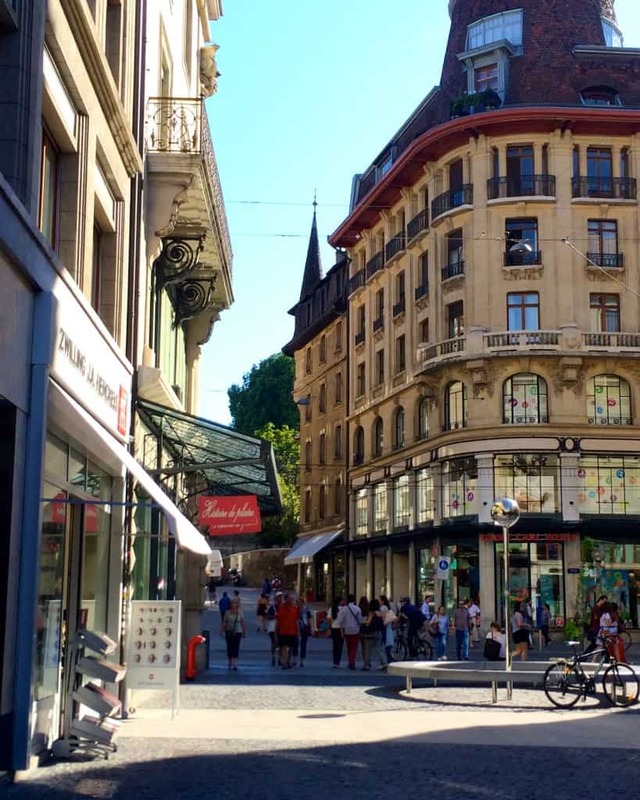 After lunch, I headed out to explore Geneva on foot. 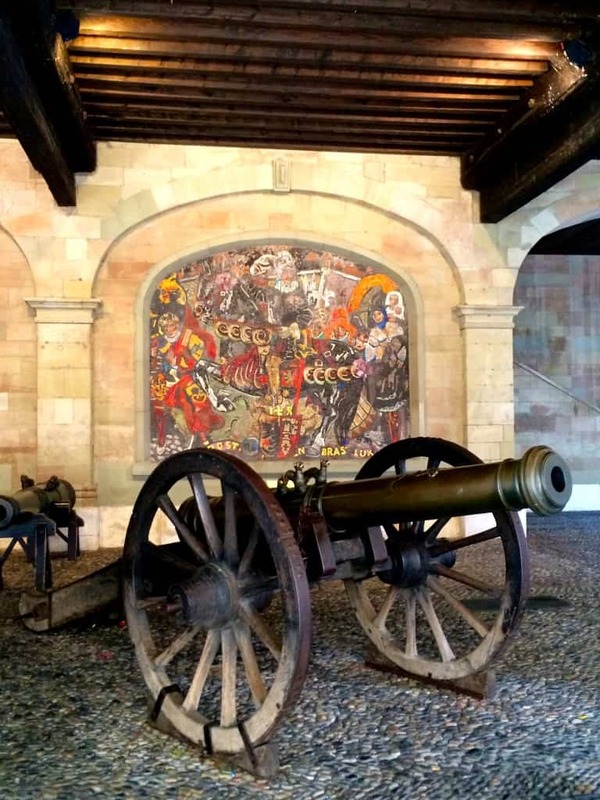 Geneva tourism offers an incredible amount of helpful information; depending on what one’s interests are, a trip can have many different options. 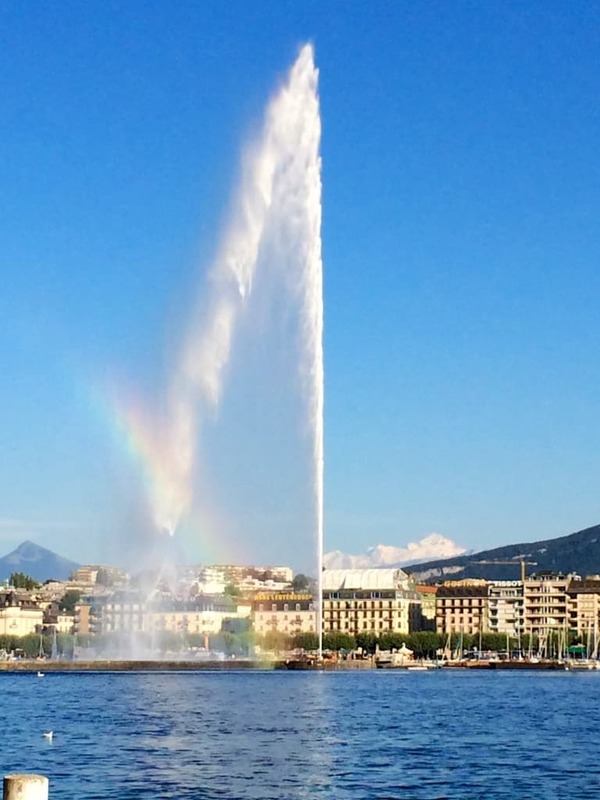 You can find all the information you could ever want here at the Geneva Tourism website. 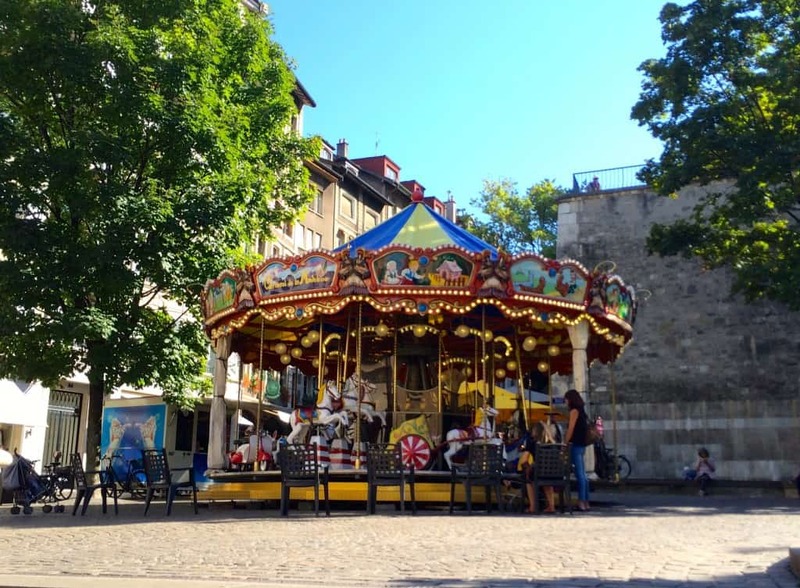 I continued walking towards Old Town Geneva with my ice cream in hand, enjoying the balconies and structure of the buildings and passing many more chocolatiers, shops and even a carousel along the way. 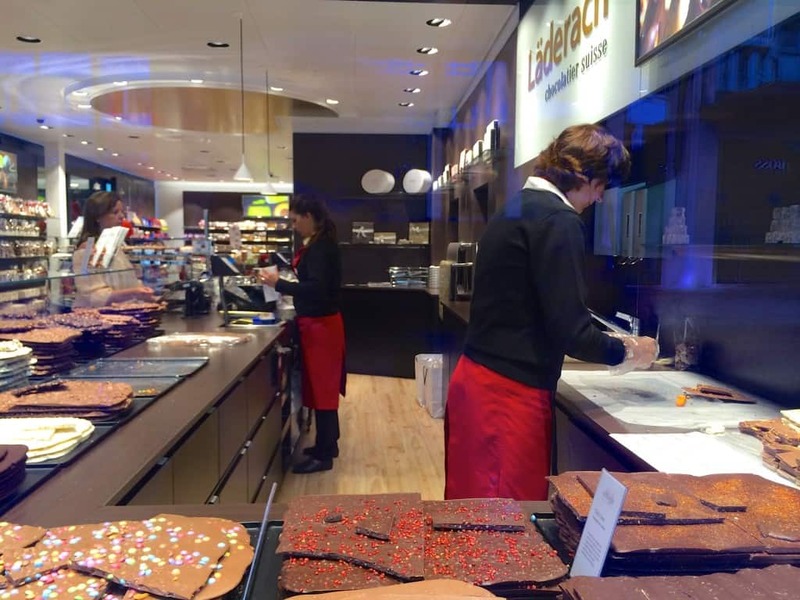 I took a walk into Halle de Rive, which is a large indoor food market where I just wandered up and down the aisles, mesmerized by all the delicious options. However, it was a bit torturous not to be able to buy any the of food to take home and cook! 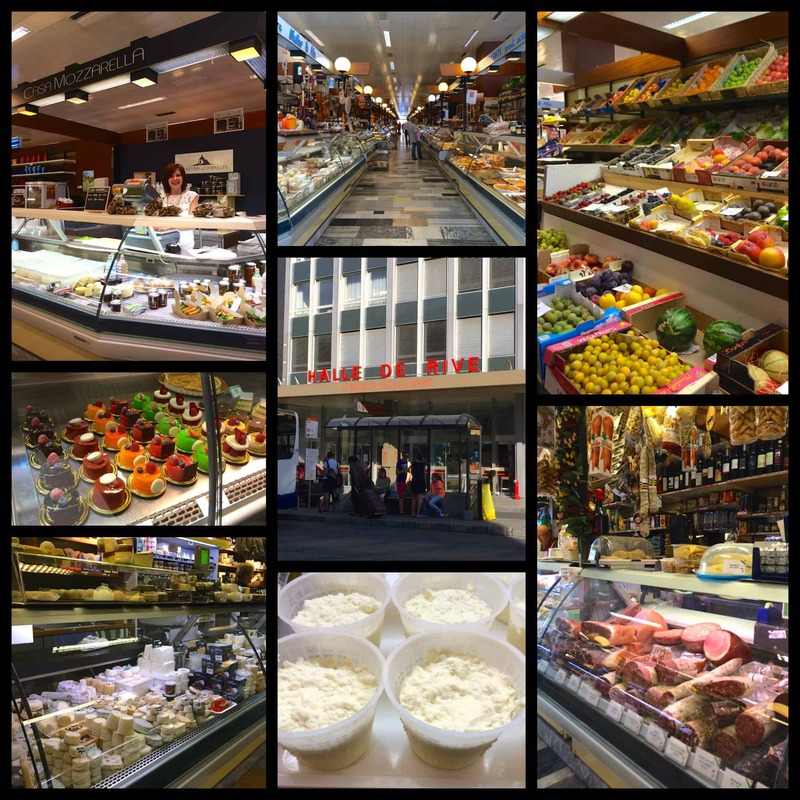 (I did buy a small ricotta at Casa Mozzarella.) Just take a look at some of the splendid displays. Pulling myself away, I then walked into old town, which is situated on a hilltop, and fell in love with the atmosphere and older architecture of the area. 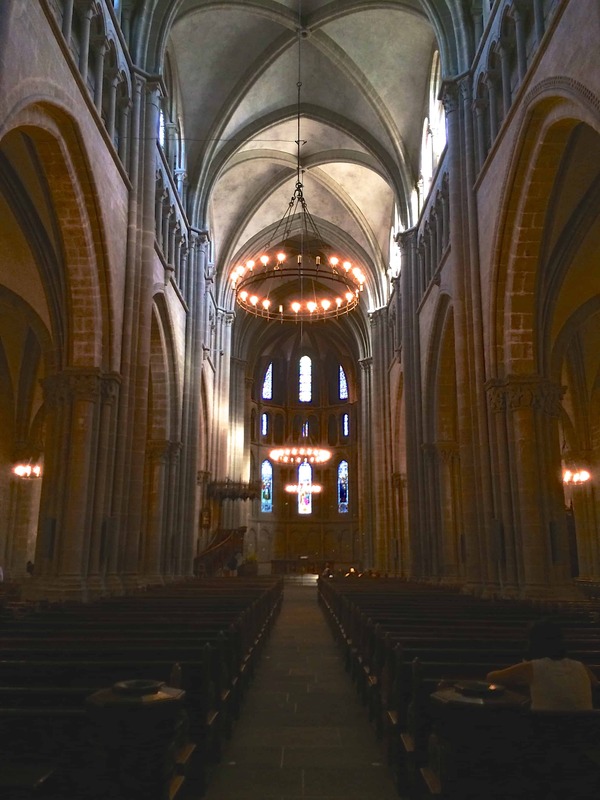 Soon, I came upon the beautiful 12th century cathedral named after St. Peter, which is now under the Protestant denomination. 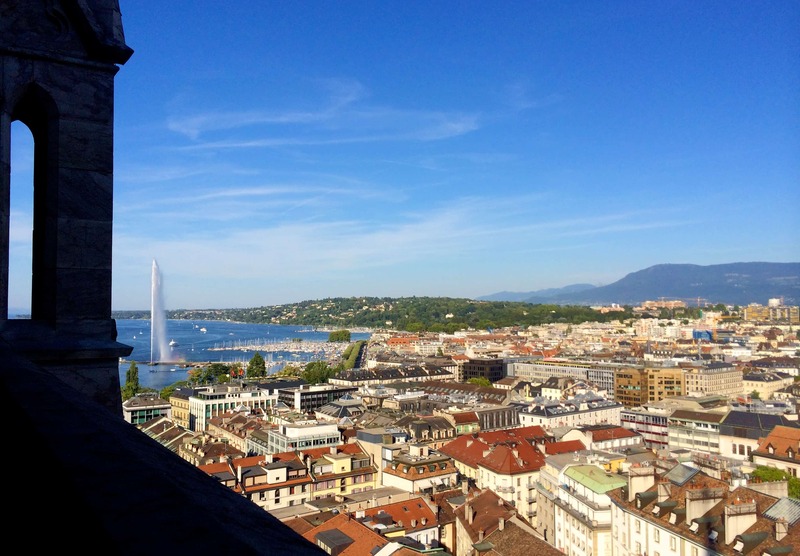 This cathedral’s tower offers some of the best views of the city of Geneva and beyond. 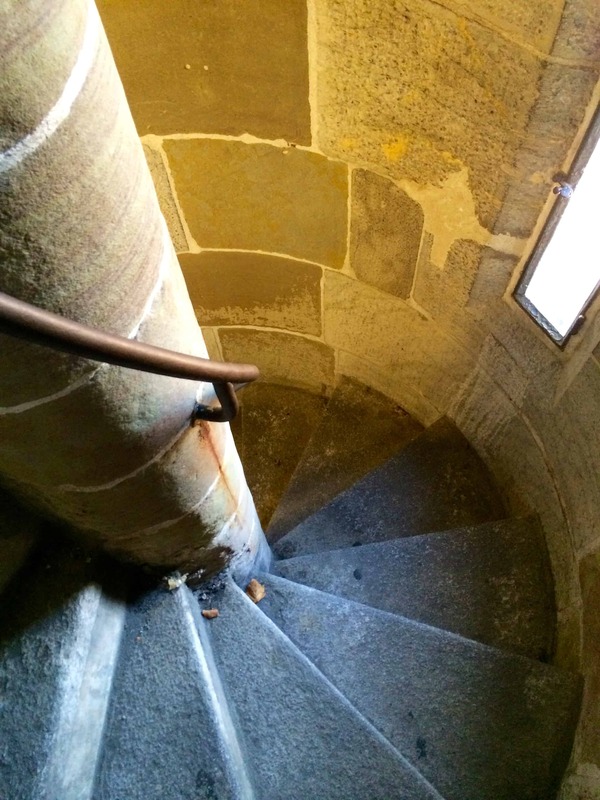 Once inside, I decided to climb up all 157 steps of the north tower to be rewarded with the magnificent views of Geneva. It was truly worth every step! The views were nothing short of spectacular. Note: St. Peter’s has an archaeological site below the cathedral, if you have time to work it in. Instead of walking back to Hotel Royal, I made my way to Lake Geneva’s waterfront to catch a mouette (water taxi) to cross the Lake. 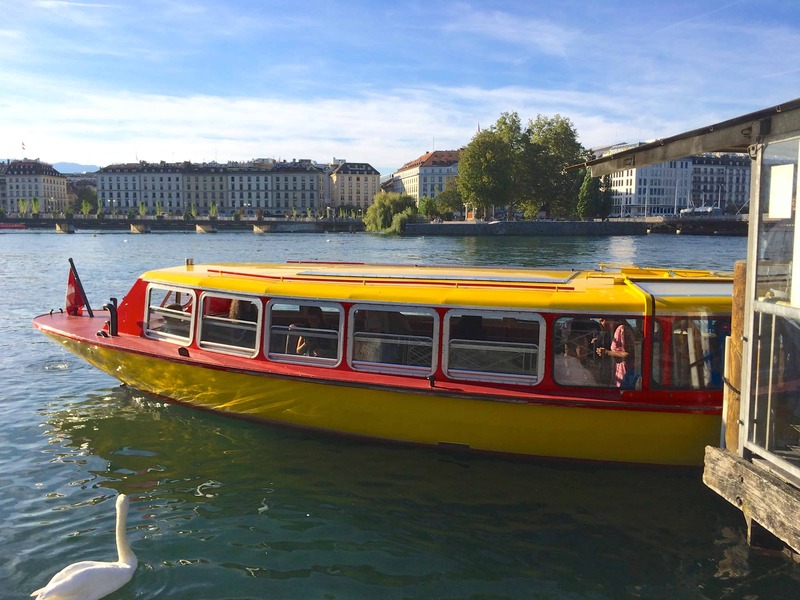 As I noted earlier, this mode of transportation is also included in the Geneva transport card for tourists. I couldn’t helping snapping more photos along the way to the lakefront. I continued taking more photos on the short trip across Lake Geneva, even capturing Mont Blanc in the distance once or twice. 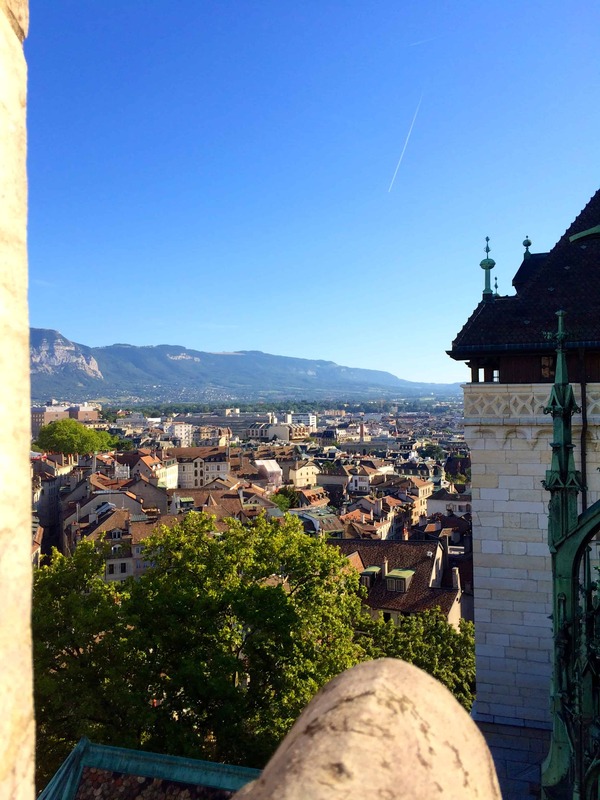 I was in awe of the beauty that I saw in Geneva; it truly is one of the most beautiful cities I have ever been. 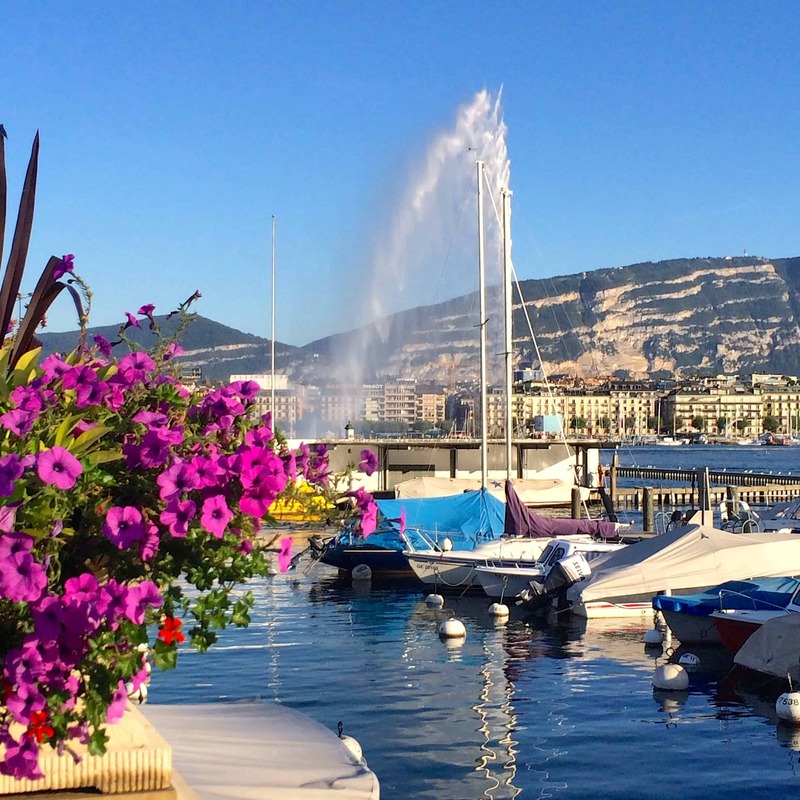 I’ll leave you with this parting shot of Lake Geneva on a perfect summer evening. 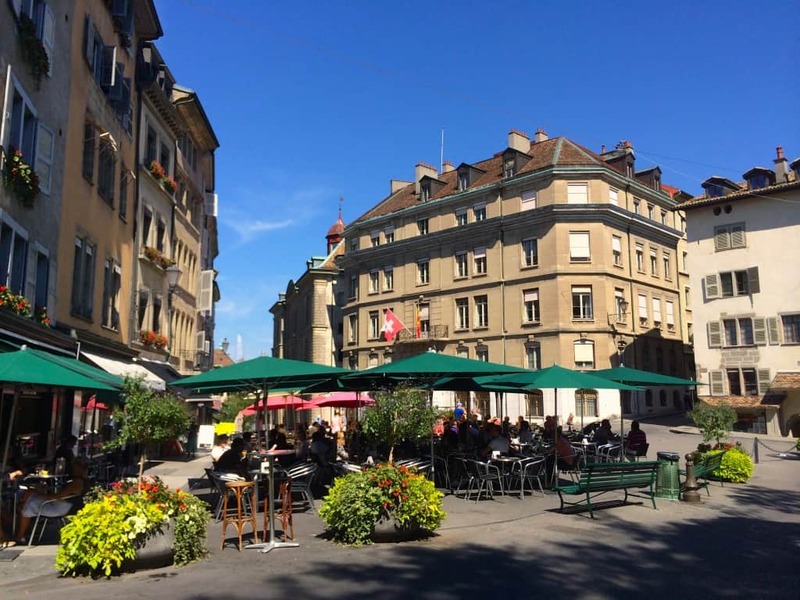 This article will continue with my wonderful dinner at Cottage Café and a photo tour of Geneva (part 2). 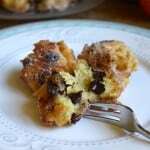 Don’t miss another travel or recipe post; sign up for my free subscription below! 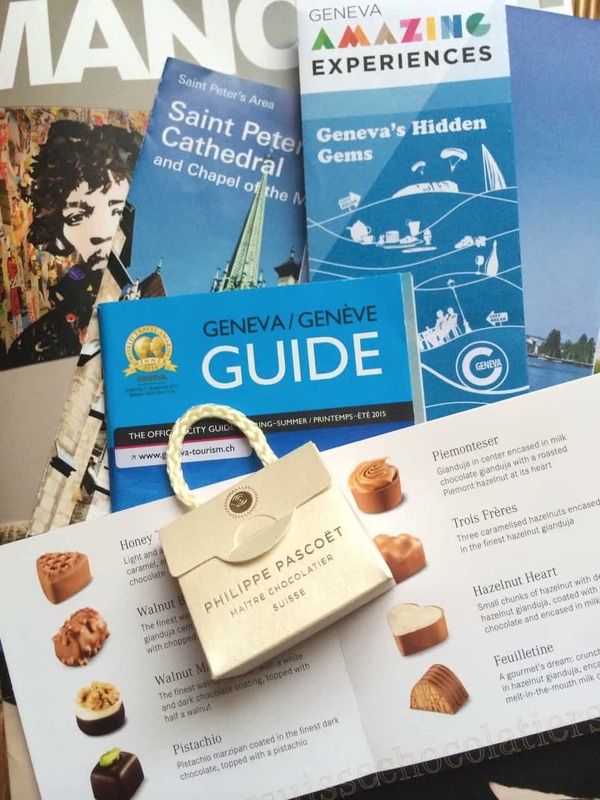 Disclosure: I was hosted by The Geneva Tourism and Conventions Foundation. As always, all thoughts and opinions are mine alone. I am disclosing this in compliance with the FTC’s regulations. 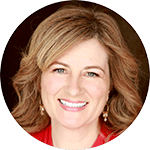 Christina’s Cucina is a participant in the Amazon Services LLC Associates Program. This is an affiliate advertising program designed to provide a means for sites to earn advertising fees. Done by advertising and linking to Amazon.com. OMG can we discuss that food. It’s spectacular!! 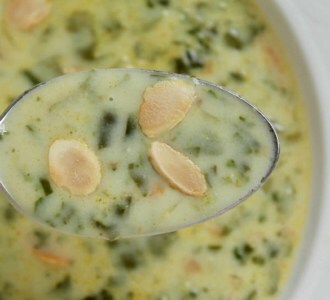 Makes me want to hop on a plane and jet off for a food adventure right this second! 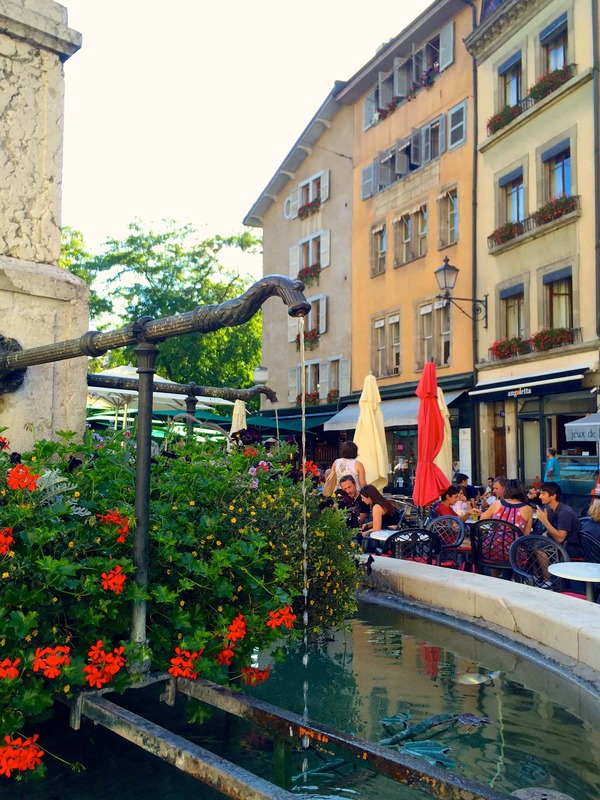 Geneva looks like an absolutely idyllic vacation destination. Cooking with Chef Bedouet would be a definite highlight, but nothing would compare to that view! I’d happily hike the 157 steps to drink in that kind of scenery. I had the best lamb shank I’ve ever had in Geneva and I would go back again just for that! But I do think it’s a beautiful city. I really love the English Garden and was so surprised to see the giant sequoia there. I also love that they change the flowers in the famous flower clock seasonally so it’s always different when you visit. Wow, Switzerland is on the top of my bucket list and you’ve made it look fantastic! 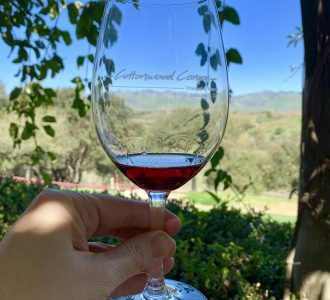 The food all looks amazing – and those views! I did nothing except show some of what Geneva has to offer, Anita. There’s so much more and I have to return myself as I’d love to explore for at least a week! I hope you can check it off your bucket list soon. This makes me want to book a flight to Geneva right now!!! I’ve been to Switzerland several times but for whatever reason never made it Geneva. 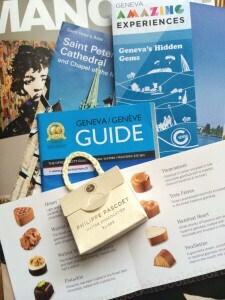 I really appreciate this overview of what I’ve been missing and Geneva will guaranteed be on our itinerary the next time we go. The Hotel Royal looks lovely, we will definitely look into that option when the time comes. And how fabulous that you had a cooking lesson – how fun! This all looks so amazing!! 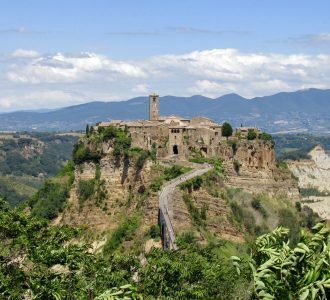 The hotel, the complimentary transportation, the views, the food – so amazing!! Geneva is beautiful! And the free public transportation? 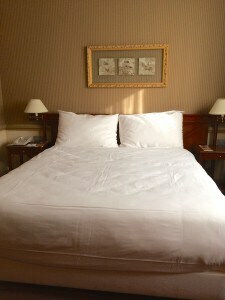 What an amazing perk for hotel guests in the city! 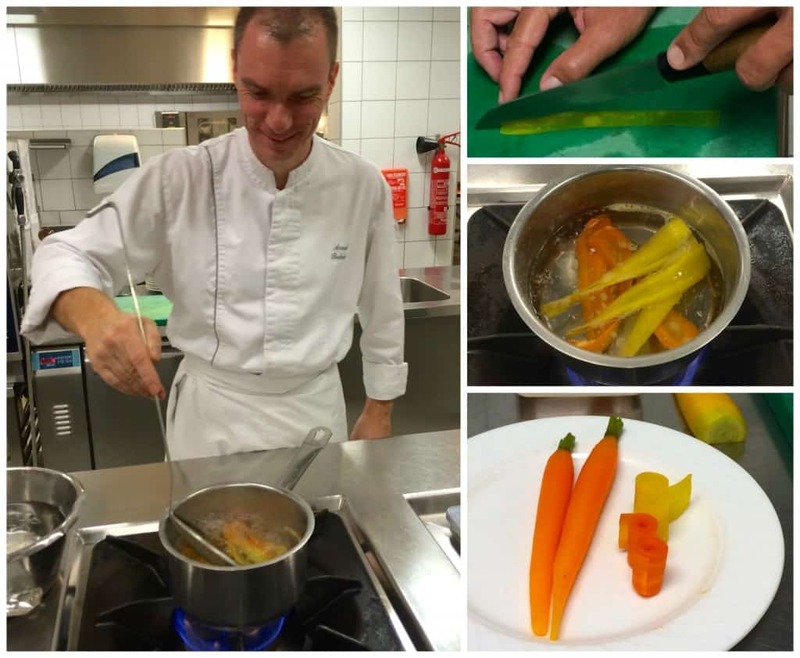 :) I am so jealous of your private cooking lesson with a Swiss chef! Looks like you had an amazing experience all around. I wish other cities would follow suit, Carrie! 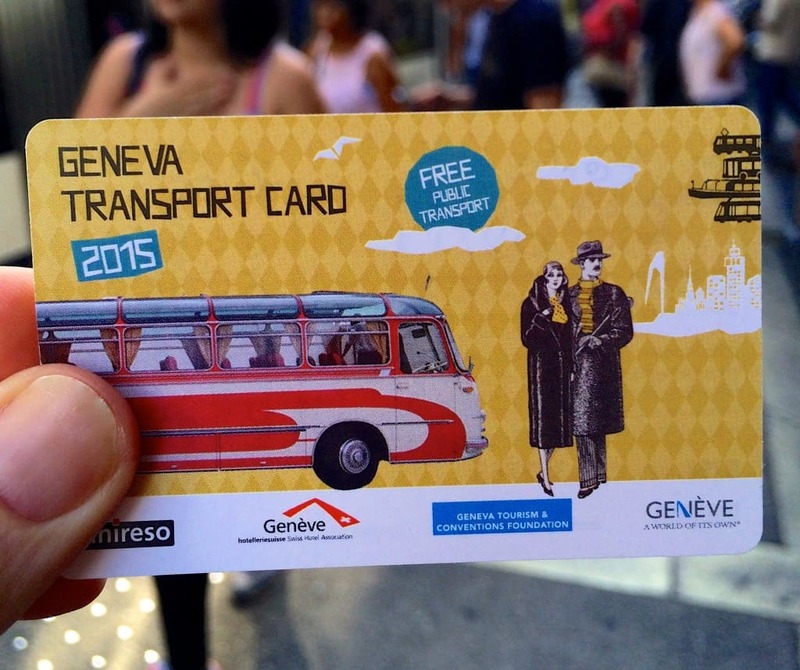 The transportation card really made me feel welcome, and that Geneva wants visitors to come to their beautiful city. What an amazing trip! 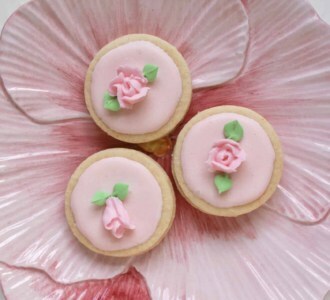 Your pictures are gorgeous, and I love that you got to take a class with a chef! Thank you, Erin! I truly enjoyed every minute! It’s been so long since I’ve been to Geneva. Thanks for bringing me back. I just remember how many great parks there were. I love a city where they encourage you to slow down and sit in a beautiful place. 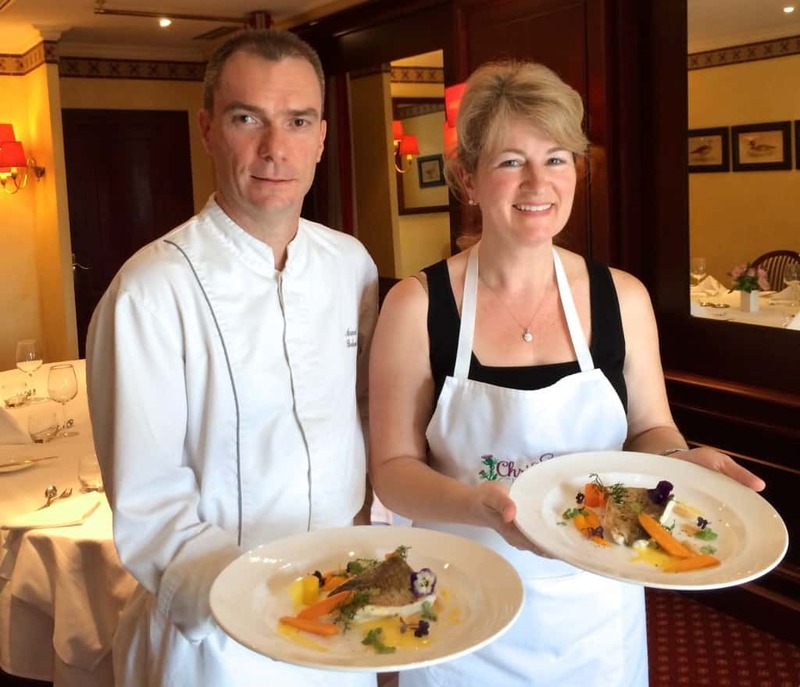 Although I’d be equally happy sitting in that gorgeous hotel and learning from that chef. Gorgeous plating! 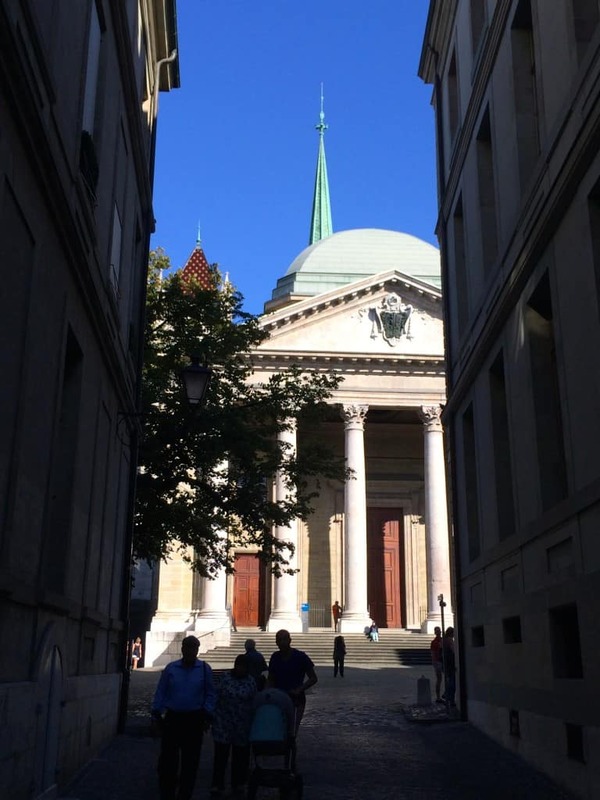 My husband recently spent time in Geneva and loved it! Great bonus on the transport card. And how fun that you got a cooking lesson! Beautiful place! Oh goodness! You need to try to tag along next time he’s in Geneva, it truly is a gorgeous city! This post brought back memories. I lived right next door to Geneva for three years and visited it often, drove through it every day. It is a quaint, charming city and I am so glad you enjoyed your time there! 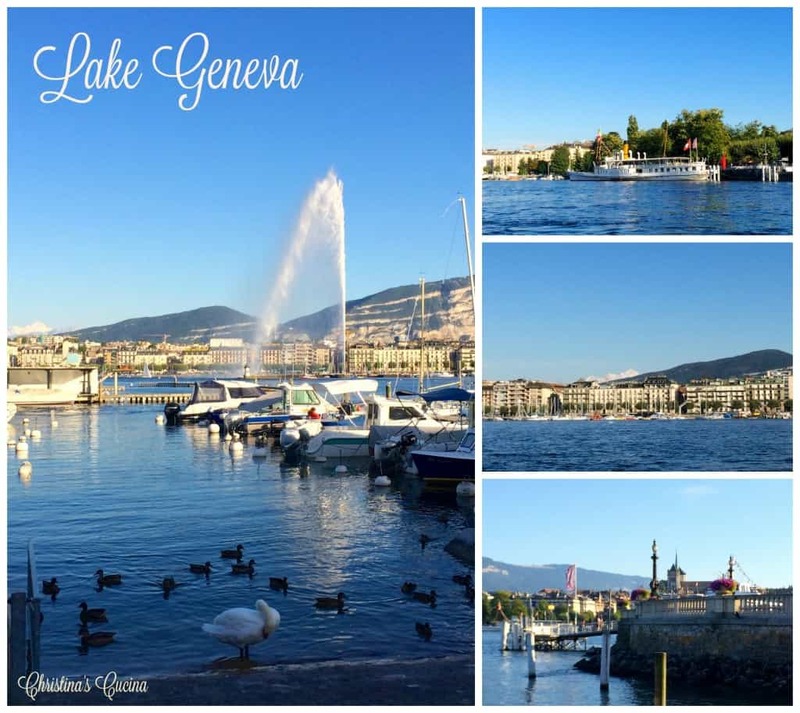 This pictorial adventure you have provided has enticed me and many others to add Geneva to our must see places.. Great to share this wonderful place through your eyes. They should hire you for their promotions. You are much too kind! I do hope that you are able to go visit for yourself, Mary Beth! 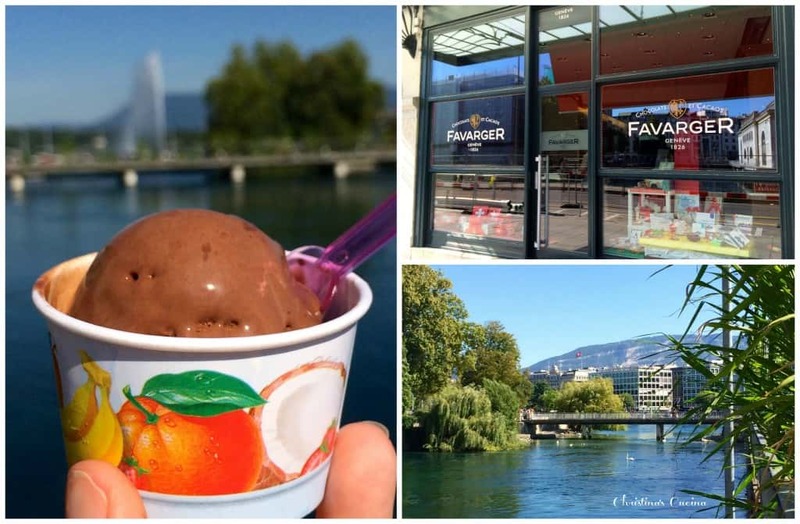 You would never regret travelling to a place like Geneva (and it’s very close to so many other countries)! What a gem of a place to be! 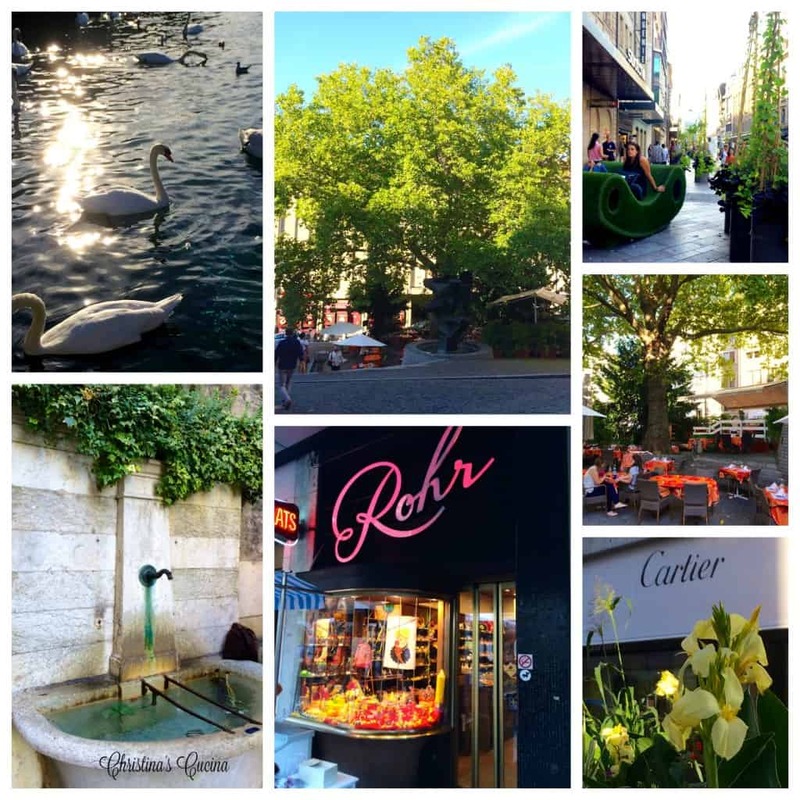 I love that you’ve shared your experiences and lovely photos of Geneva. We only drove through it last summer and hit rush hour so realise just how much we missed! Chef Bedouet’s fish dish looked so dazzling and adore his tips – thanks for taking the videos, especially of the plate on the fish. 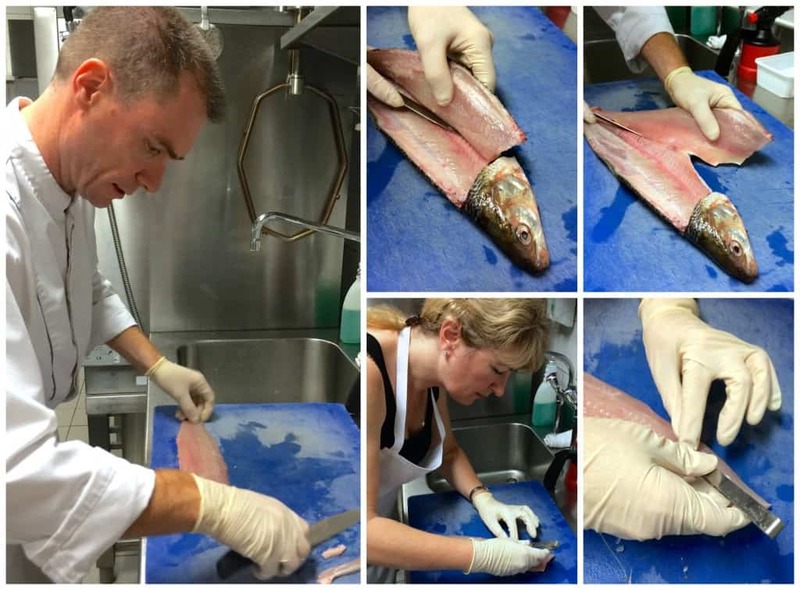 I often have the same problem with fresh fish retracting and so LOVE this tip! I know what you mean about tastes and fresh, seasonal ingredients. Hotel Royal looks a fabulous address – didn’t know about the free transport card for all guests in Switzerland. We need to check this out! And how cool is that? In Paris we have the fly-boats (Bateaux Mouches) but there you have seagulls (Mouettes). What a fantastic post! It has been many years since I was in Geneva. I forgot how wonderful it is. Putting this back on my to-do travel list. I loved your cooking lesson. The plating was spectacular. I can’t wait for your next post. I really enjoy your posts and feel a sort of kinship with you. I was born in Scotland to a family who owned a bakery. Our bakery in Leith was next door to a Fish and Chip shop owned by a lovely Italian family. Needless to say, we frequented each other’s shops. Also, I used to love to cook (I’m slightly disabled now making it difficult for me to do what I’d love to) and was quite accomplished. 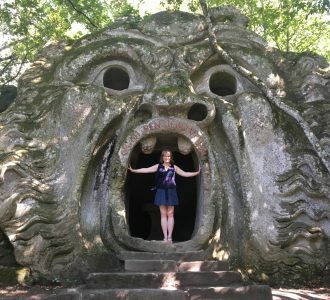 I love to travel and have visited many of the European places you write about. Travel has also included 47 of the fifty states. 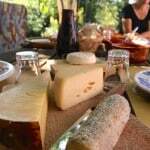 While travelling, my husband and I prefer to try the local dining/eating specialties instead of the tried and tested fast food places. Life and travel is more interesting and instructive this way. I agree that Geneva is very beautiful but nothing compares to Edinburgh to my way of thinking. Yes, I’m prejudiced! This is such a lovely comment, Pat! I’m so happy you’ve found my site. That’s wonderful that you’ve travelled extensively, and I’m so happy to hear that you eat local instead of the chain fast food places (I truly have never understood that mentality). Geneva is such a lovely town. I’ve been there a couple of times and enjoyed it immensely. Your photos make me want to go back there soon! Need to take a trip like this!! Thank you for including so much detail, I’ll be taking your advice and checking into Geneva for our next family vacation!